scan0199, originally uploaded by bucklesw1. scan0198, originally uploaded by bucklesw1. Just got back from visiting Jimmy James at the South Bay Hospital, also visiting were Ray Gronso and Gordon Taylor from Georgia. Jimmy says he expects to return home Tuesday. At this morning's weigh-in, and for the third consecutive week, I seem to have leveled off at 233 pounds. Scan10656, originally uploaded by bucklesw1. Scan10655, originally uploaded by bucklesw1. Scan10653, originally uploaded by bucklesw1. Scan10654, originally uploaded by bucklesw1. Scan10651, originally uploaded by bucklesw1. Scan10652, originally uploaded by bucklesw1. 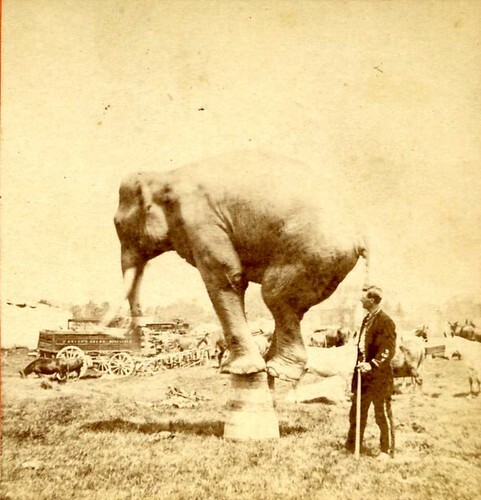 Scan10650, originally uploaded by bucklesw1. Scan10638, originally uploaded by bucklesw1. Scan10640, originally uploaded by bucklesw1. Scan10639, originally uploaded by bucklesw1. Scan10641, originally uploaded by bucklesw1. Scan10642, originally uploaded by bucklesw1. Scan10643, originally uploaded by bucklesw1. Scan10644, originally uploaded by bucklesw1. Scan10645, originally uploaded by bucklesw1. Scan10646, originally uploaded by bucklesw1. 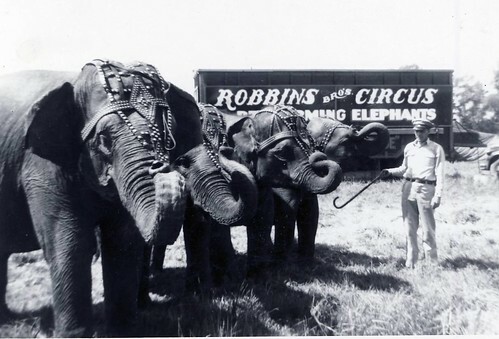 For some reason the title was changed to Robbins Bros. the year we were with it. In retrospect, it was probably due to the grift. 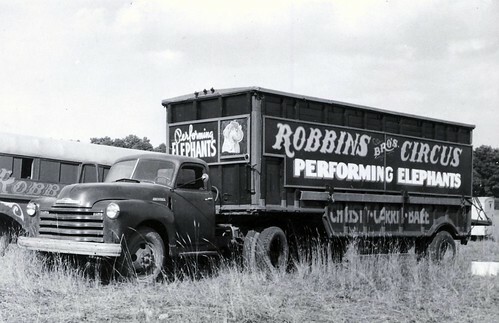 Three of the elephant's names are seen on the truck. That's our sleeper in the background. 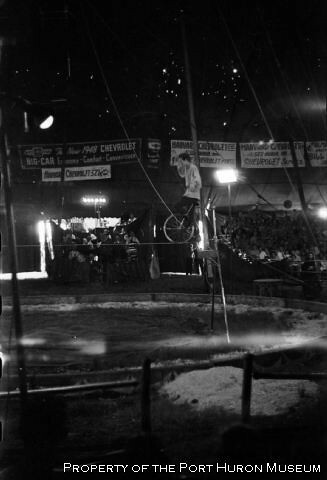 Some of the other people on the show were the Silverlakes, Gladys Gillum cat act (Killum Gillum), Percy and Charlie Clarke comedy fencing act, Tex and Grace Orton and Jackie Tolliver aerialist. Scan10647, originally uploaded by bucklesw1. Scan10648, originally uploaded by bucklesw1. 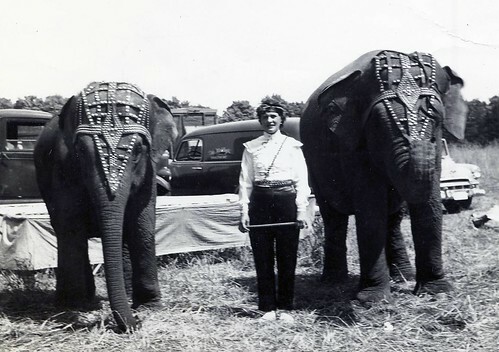 My mother with "Babe" and "Christy" two of the four elephants Mac MacDonald had trained for Stevens the winter of 1946-47. She always commented on the headpieces saying that they were perfect for making mounts, plenty of places to grab ahold. Scan10649, originally uploaded by bucklesw1. Bill Woodcock with "Christy", "Carrie", "Babe" and "Shirley". 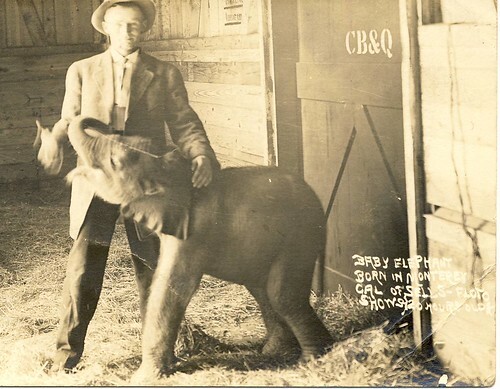 I don't recall a lot about these elephants since I was a candy butcher and spent most of the day in the employ of the A&E Concession Co. (Laura Anderson and Frank Ellis). 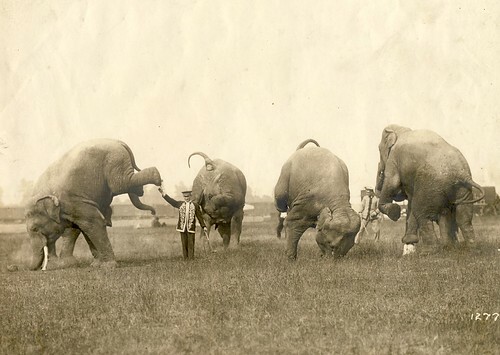 However I do remember my dad saying how well trained they were. 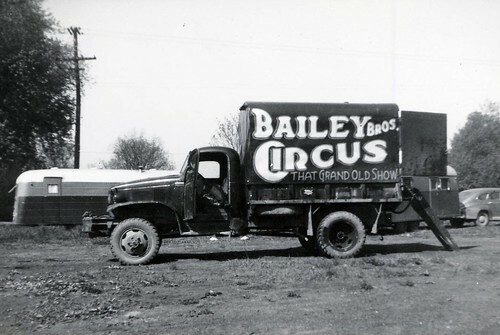 We traveled across Canada that year to good business but for some reason the word was out that the show would close at the end of the season. One day my mother confided in me that we were going with a show in Oklahoma the next year. 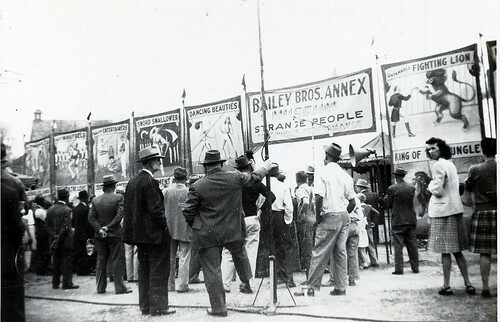 Not long after that Spencer Huntley arrived and after showing him the routine, my father abruptly left. My mother and I remained on the show and the next thing I remember, while down town one day, Huntley dropped dead. The final part of the season is rather vague to me. After we were back in Hot Springs we went down to Hope, Ark. 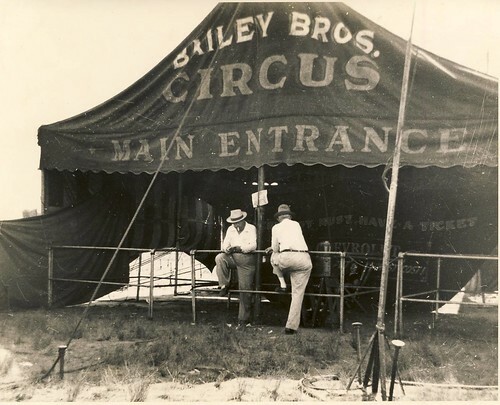 to get our first look at "America's Second Largest Circus". I remember my dad lobbying D.R. 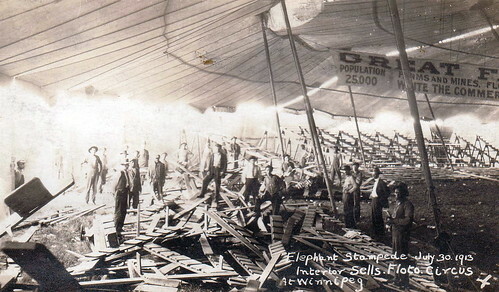 to buy the Bailey Bros. elephants but the Cristianis had already sealed the deal. 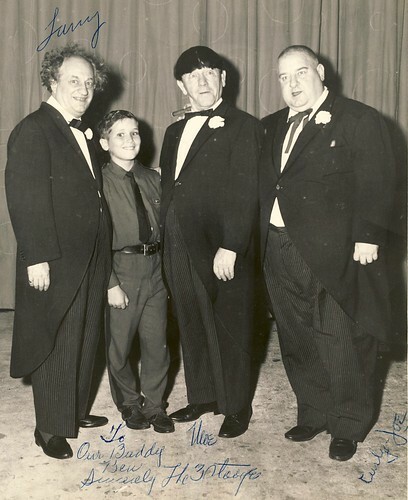 I might add that on the back of this picture is written: Geneva, NY May 25, 1949. To Bill Woodcock, best always. J.Myers 129, N. Fulton St., Auburn, NY (a name I am unfamiliar with). JoeH, originally uploaded by bucklesw1. GossingLs, originally uploaded by bucklesw1. 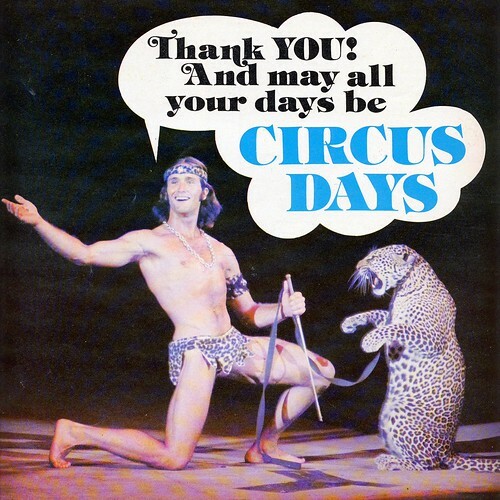 Guy Gossing 1975, originally uploaded by bucklesw1. gossing, originally uploaded by bucklesw1. I have another Guy Gossing photo for you. This 8x10 was given to me by my good friend Jason Barr. 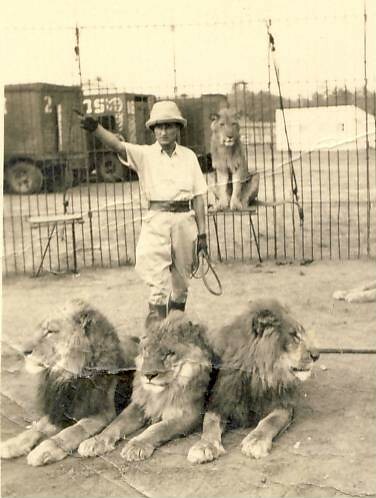 There is no date on it, just "Guy Gossing Royal Bengal Fighting Tigers" on the back. Thanks. Mogul on O'Brien001, originally uploaded by bucklesw1. pedestals could have grown a bit. Scan10636, originally uploaded by bucklesw1. 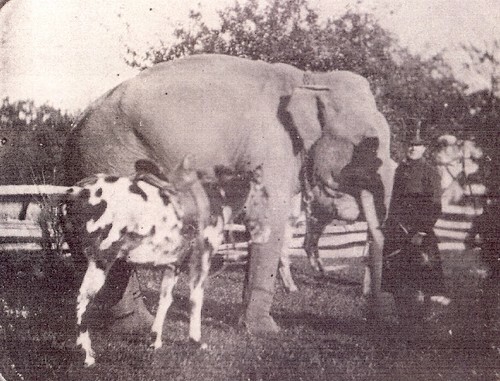 "This may be the oldest photo of a living elephant, and I mean anywhere in the world. Flint's 1860 photo of Hannibal (in Haufellner's book) was thought by Haufellner and John Edwards of London to have been the oldest. This may be several years older than that." "Dagerrotype/ambrotype circa 1850's possibly in the new New York Central Park, New York City." 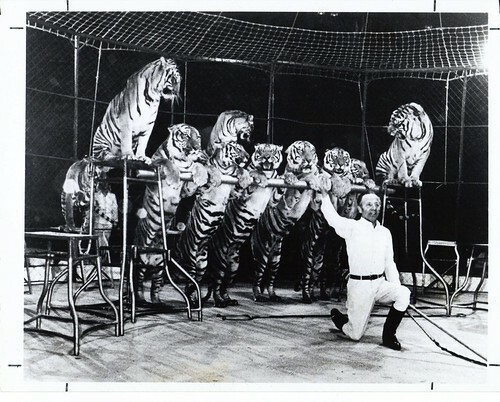 9-1968 Columbus Shrine Circus (Guy Gossing tigers), originally uploaded by bucklesw1. 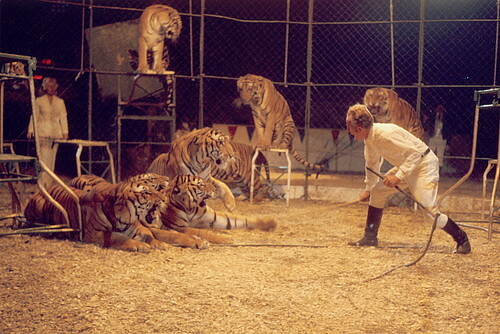 Someone requested a photo of Guy Gossing's tiger act. 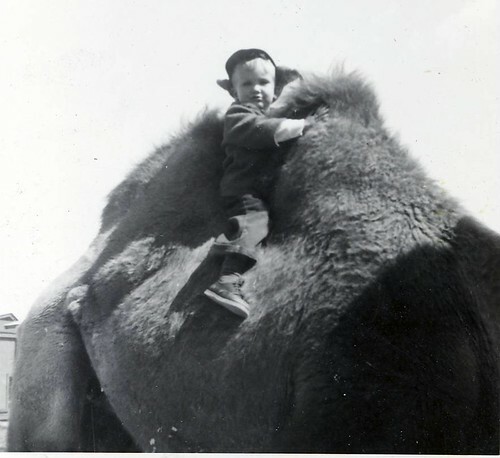 Here is one taken in April 1968 (over 40 years ago!) 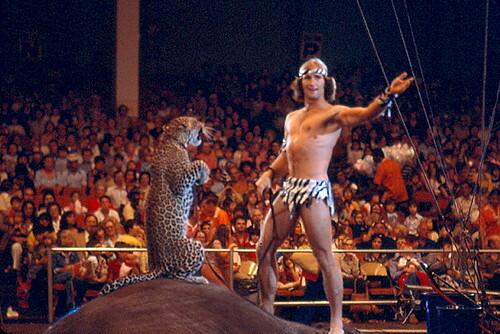 in Columbus, Ohio at the Aladdin Temple Shrine Circus. Scan10635, originally uploaded by bucklesw1. 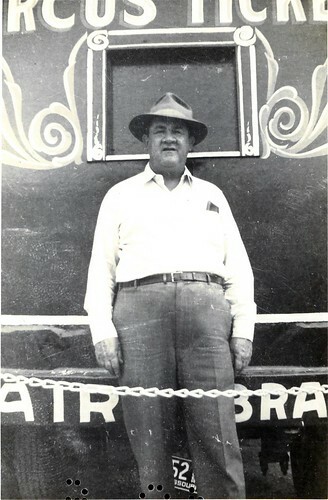 Looking thru my cat act folders I came across this tiny picture and when enlarged, it turned out to be Joe Horvath in what appears to be the Dailey Show quarters in Gonzales, Texas. !cid_1219977415, originally uploaded by bucklesw1. A while back there was a post regarding Sonny Ridley and I thought perhaps your readers might enjoy these photos taken in 2002 in Rosemont, Illinois. 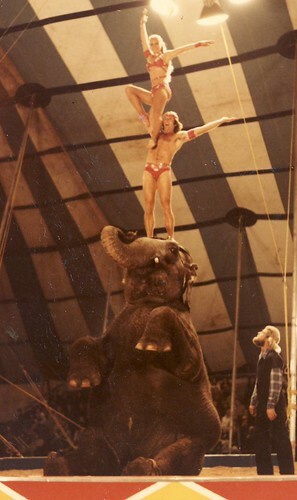 These were taken during what what was then known as the "Three Ring Adventure" and I believe the elephant is Karen. I was visiting friends on the show over the weekend and the distinct lack of patrons around the ring in these photos is not due to an unusually light house...the pre-show started on time but doors didn't open for another 20 minutes so the audience wasn't even in the building yet. 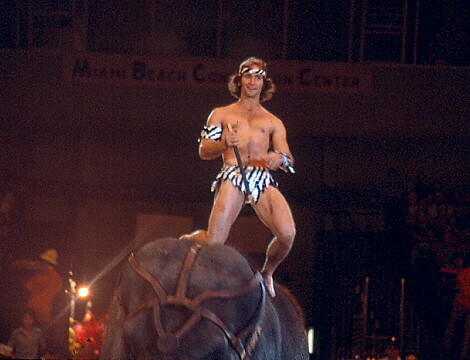 Enjoy the blog every day, particularly the Ringling photos from the 70's when I was growing up! !cid_1219977452, originally uploaded by bucklesw1. 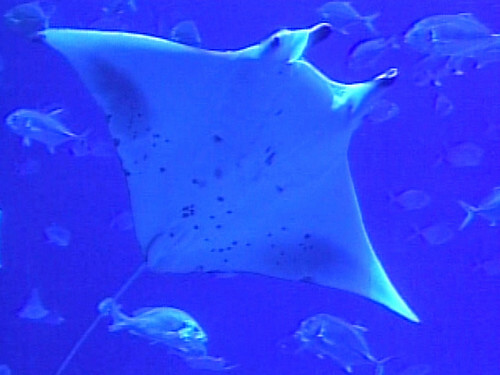 Manta_Ray_01, originally uploaded by bucklesw1. Big news from the aquarium this week. The press indicates this is the only one in a US aquarium - -whether that means first ever or only for the present I do not know. 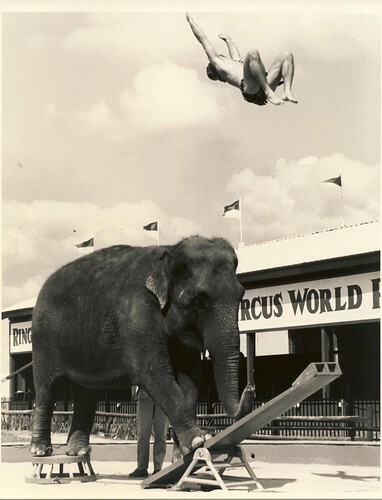 I seem to recall a photo of one in the original Marineland, near St. Augustine, FL. 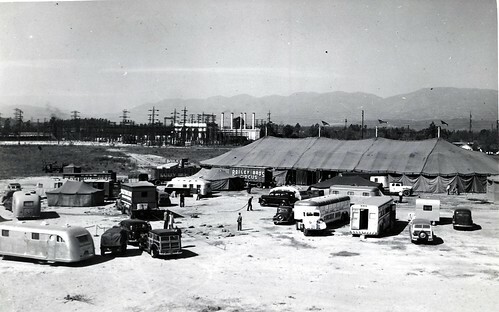 My memory tells me that was in the 1940s when Marineland had the only one of those huge, multi-species oceanic tanks. Attendance at the Georgia Aquarium has fallen off considerably, now running at about 2 million annually. That's still quite good but they got spoiled by the first year which saw twice that number. 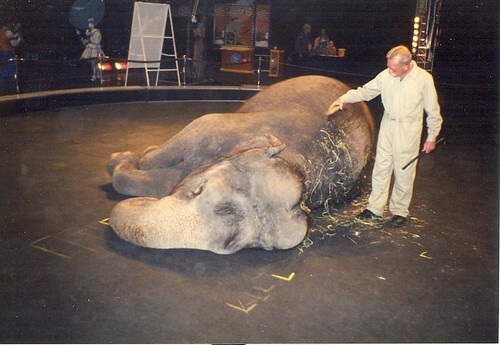 Several months ago, Jeff Swanagan, President and Executive Director, resigned to take the director's job at the Columbus, Ohio zoo. 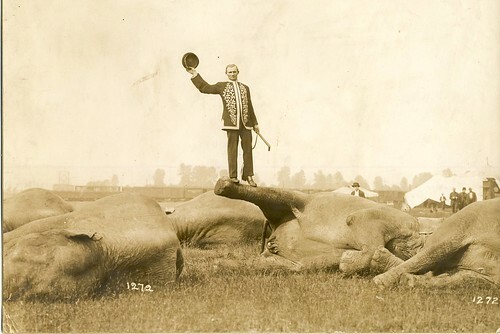 Ohio is his native state, and he began his zoo career in Columbus. There have been some other staff resignations as well. However, Bruce Carlson is still there. He is Vice President of Education, Exhibits, Conservation, & Reserach. While the Board decides who will replace Swanagan, Chief Executive Officer Mike Leven is in charge. 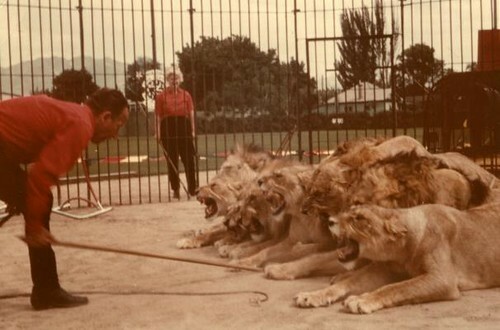 He has the idea of bringing in new and sensational attractions on a frequent basis to keep folks coming back and attract new visitors was well. He oversaw the acquisition of the ray. What's next, perhaps a Giant Sun Fish (Mola Mola)? It wouldn't surprise me to see Leven and founder Bernie Marcus try for a great white shark, given the success Monteray Bay has had with them. But it could be dangerous to put that critter in with all those other fish as Monteray learned when their's started eating the other animals. Result, the whites were returned to the sea but not before millions had turned out to see the living "Jaws." Georgia aquarium will soon send its sea lions elsewhere. 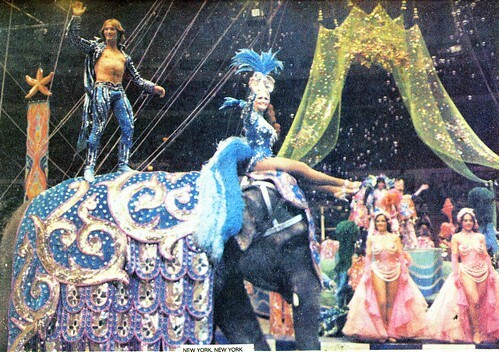 That space will become a huge dophinarium with shows and "swim with the dolphins" opportunities. That was vigorously decried by the antis as soon as the announcement was made. They are also vocal in opposition to the "swim with the whale sharks" program which has been instituted. As one of them said, "I don't want the Georgia Aquarium at all, under any circumstances." Scan10628, originally uploaded by bucklesw1. Thank you so much for sharing those great Fred Alispaw-Sells Floto photos they are the best. 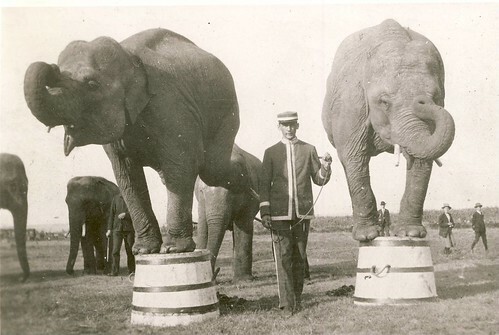 Now i noticed in those old circus photos that they used a wood elephant tub like old barrels they used back then with the metal straps around them to keep them from coming part at the seams. When did they start using the metal tub's like we have today???? Those wooden tubs better have been built heaver than heck to hold all that weight. Thanks as always for the great photos we all enjoy. 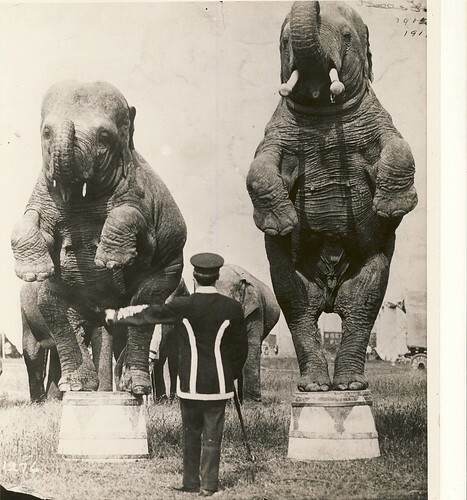 "Here is a picture of the same elephants presented by the original trainer Chris Zeitz about 1905 when the show still used the Great Floto title. These might even be the same tubs, notice the rope handle. 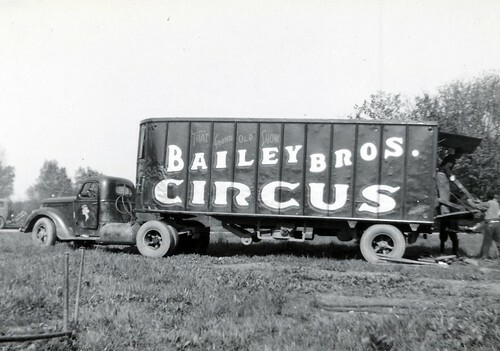 No idea when metal tubs came into use, maybe the same time as steel railroad cars. 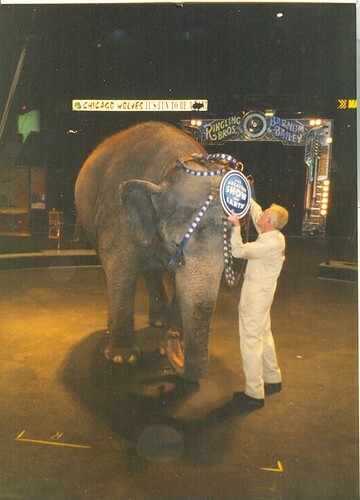 Smokey told me that the Adele Nelson elephants had tubs like these when they came to the Dailey Show. 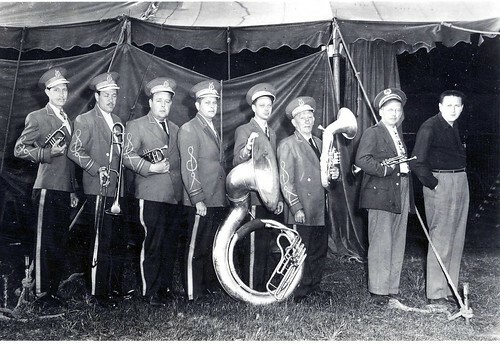 The bands were made of brass and Reed would have him shine them up before the act each day. 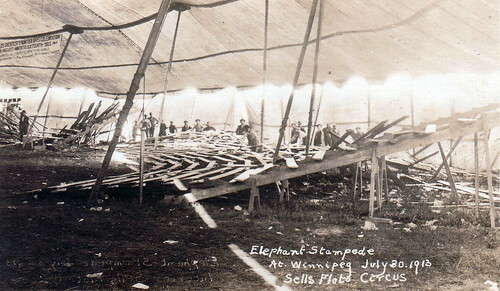 They were carried on top of the pole wagon and one morning while unloading, one of the big top hands tossed one down and shattered it. 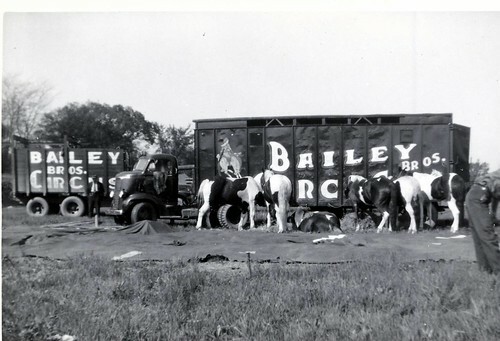 Ben was so mad he replaced them with double heavy iron tubs and told Ralph Noble, "See if you can break these!." Scan10631, originally uploaded by bucklesw1. 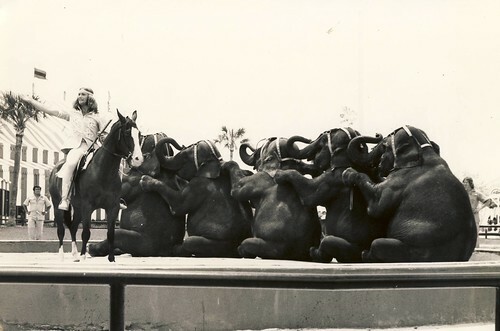 As near as I can determine Fred Alispaw spent his entire career with Sells-Floto starting out as a menagerie hand with the Otto Floto Dog & Pony Show. 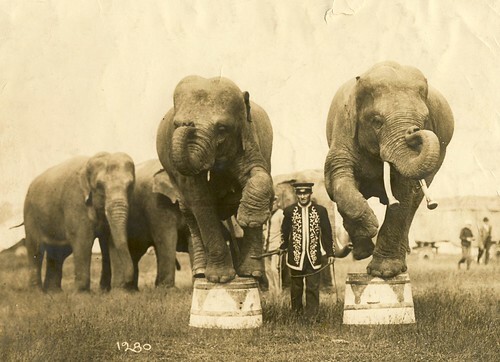 He took over the elephant herd from the original trainer Christian Zeitz in 1909 and remained in charge thru 1917. 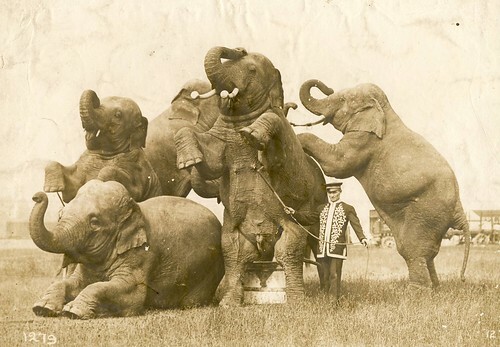 This is the first time I have shown this full set of the elephant act while being photographed in the back yard in 1912. 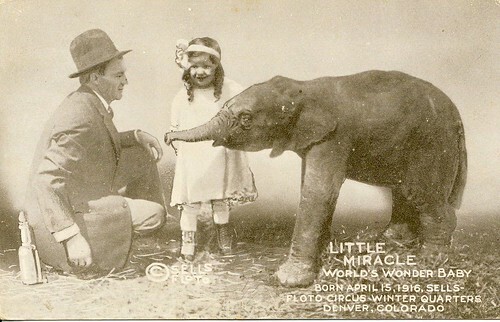 Elephants are "Mary", "Snyder", "Trilby", "Alice", "Frieda" and "Floto". Letter from Bill Woodcock to Otto Scheiman from the Cole Show quarters in Louisville 1/18/45. 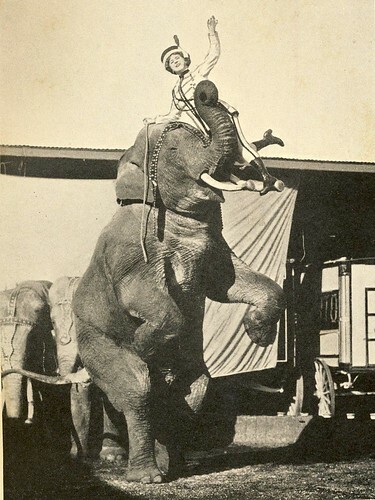 "I never met Shorty Alispaw but I have trouped with a lot of old timers who were with him on S-F and I gather he was a mediocre elephant man like the writer. 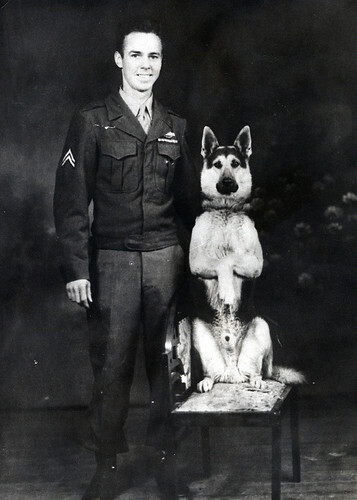 He was definately not in the class with Arky, Walter McLain, Bill Emery, Cheerful Gardner et. al. Seems to have been a farmer and his chief interest in life was to get enough dough together to buy a farm and get out of show business." Scan10632, originally uploaded by bucklesw1. Scan10633, originally uploaded by bucklesw1. Scan10634, originally uploaded by bucklesw1. Scan10637, originally uploaded by bucklesw1. 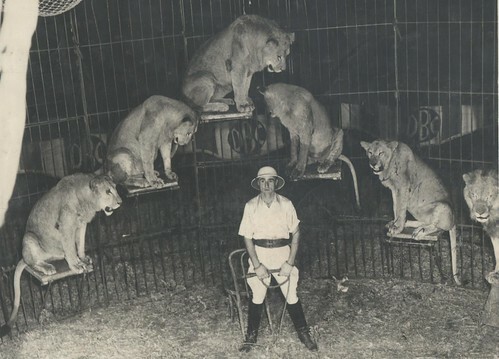 I lifted this picture out of my copy of Courtney Riley Cooper's book about the Alispaws "Sawdust and Solitude" which when asked, my dad always described as "the worst kind of trash". A good shot of the herd returning from parade and shows how elaborate the trappings were. 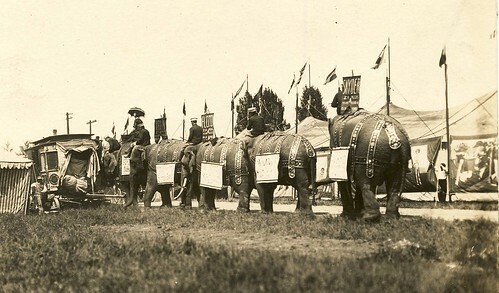 Note the banner on each elephant bearing the name, age and weight. Even the advertising banners are arranged in a readable fashion. SAVE0209, originally uploaded by bucklesw1. 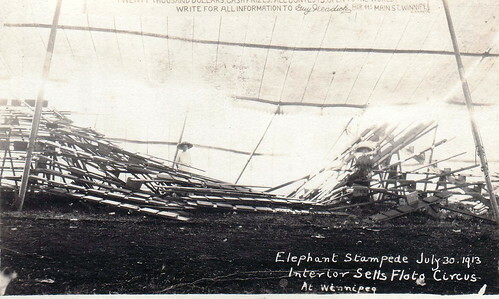 The Floto Show elephants must have been exciting to be around. I think this is the first time I have shown these three aftermath pictures together. 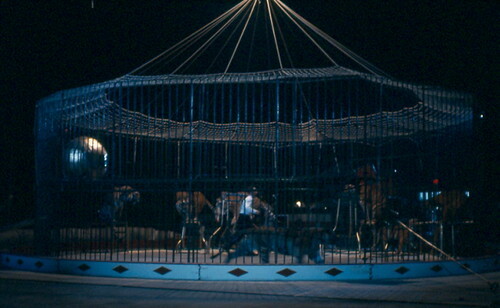 Fortunately this incident occurred in the morning while Alispaw was practicing the act and not during a performance. SAVE0208, originally uploaded by bucklesw1. SAVE0207, originally uploaded by bucklesw1. Scan10630, originally uploaded by bucklesw1. I just talked to Sonny & Pam Moore today. Sonny is out of the hospital. He had a stroke. He is in a hospital bed at home so he can see the trees, grass and dogs. He was in a nursing home but he caught pneumonia there. He went back to the hospital then home. He is paralyzed on one side. You can write to him at home. ( PO Box 56 Fordland Mo. 65652 ). HC2Pos, originally uploaded by bucklesw1. 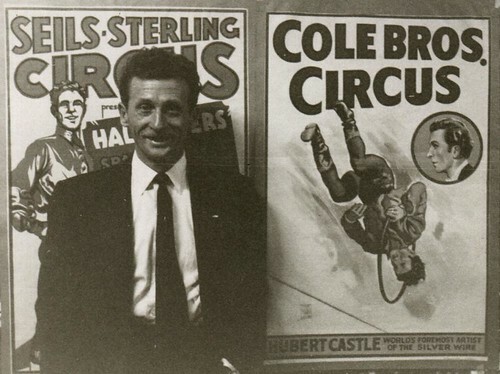 Here's a picture I took nearly fifty years ago of Hubert Castle standing in front of both a Seils-Sterling poster of him as Hal Silvers and the familiar Cole Bros one as Hubert Castle. I believe his name was actually Smith. 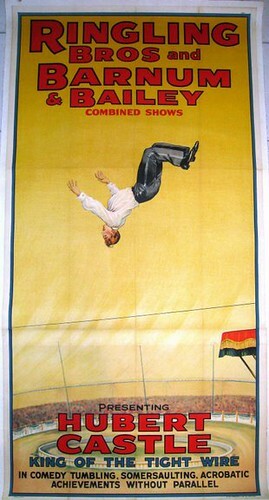 Ringling Barnum HUBERT CASTLE (1939) Three Sheet, originally uploaded by bucklesw1. 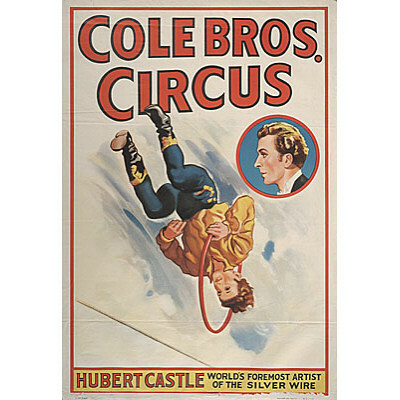 Cole Bros HUBERT CASTLE (c.1947), originally uploaded by bucklesw1. 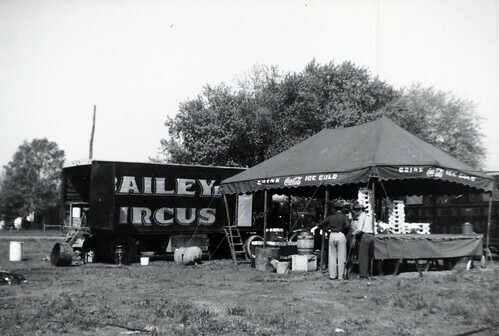 ColeBrosCircus_05_CircusTent_1948_FishBoatsPickeralMarysville_DogShowMtClemens_fr10, originally uploaded by bucklesw1. Buckles, is this Billy Powell?